According to an Industry news cited by DigiTimes, Taiwanese manufacturer Compal Electronics is set to begin the mass production of Apple Watch Series 4 models in November. Compal will share orders with fellow Taiwanese manufacturer Quanta Computer, according to Apple analyst extraordinaire Ming-Chi Kuo. Also, Kuo added that Compal will be adding a second supplier of Apple Watch Series 4 models, which entails the final assembly of the wearable device. He believes that Apple Watch shipments from suppliers to Apple will fall between 18 million and 19.5 million units in 2018. Apple does not disclose Apple Watch sales, grouping the device under its broad "Other Products" category in its earnings reports, alongside the Apple TV, AirPods, HomePod, and so forth. No doubt that Apple Watch is the world's most popular smartwatch by many metrics, including market share and revenue. In fact, Apple says the Apple Watch is the world's most popular watch of any kind, having surpassed Rolex. 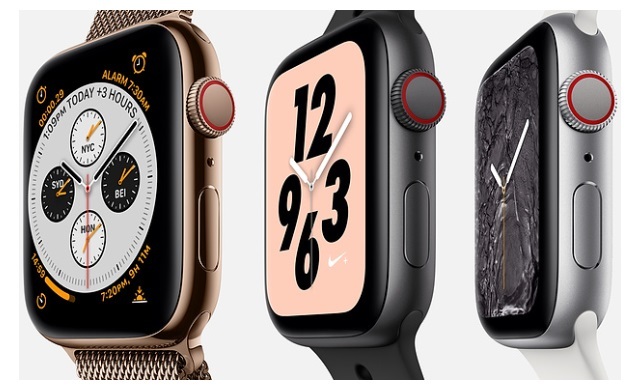 Many models of the Apple Watch Series 4 ordered from Apple's official website today are estimated to be delivered somewhere in late October in the United States, lending credence to strong demand, limited supply, or some combination of the two. With a second supplier coming on board in November, availability should improve.